Justin Forlenza, a junior from Ralph R. McKee Career and Technical Education High School on Staten Island, won the National Gold Medal in the Information Technology Services competition (see below) at the SkillsUSA Championship last week. The 52nd annual SkillsUSA National Leadership and Skills Conference was held in Louisville, Kentucky June 20-June 24, 2016. More than 15,000 students, teachers, education leaders, and representatives from 600 national corporations, trade associations, businesses and labor unions participated in the event. Watch the YouTube video and see the SkillsUSA infographic. McKee Principal Sharon Henry, medalist Justin Forlenza and Jorge Reynoso, Computer Systems Networking Instructor and SkillsUSA Advisor, celebrate. Justin is currently enrolled in the Computer Systems Networking Program at McKee High School. For winning First Place at the National Competition, he has received a number of prizes, a $10,000 scholarship to Sullivan University plus a number of gift cards. Justin is planning on attending SUNY’s Stony Brook University to study Software Engineering and Computer Science. Information Technology Services Students identify and correct end-user computing issues and must demonstrate ability to: configure and secure SOHO networks, configure network interfaces, manage client side virtual machines, navigate and modify Windows registry, deploy an operating system to a workstation, use remote assistance software and troubleshooting tools, identify virus and malware origins, understanding of basic security concepts, work with mobile devices, proficiently use commands in Windows, PowerShell, and Linux. Interpersonal skills include interaction with corporate co-workers, IT Consultants and, Consumers. In addition, the contestants are proctored a Comp TIA Certification exam. Their score on this exam is used as the basis for the written portion of the contest. 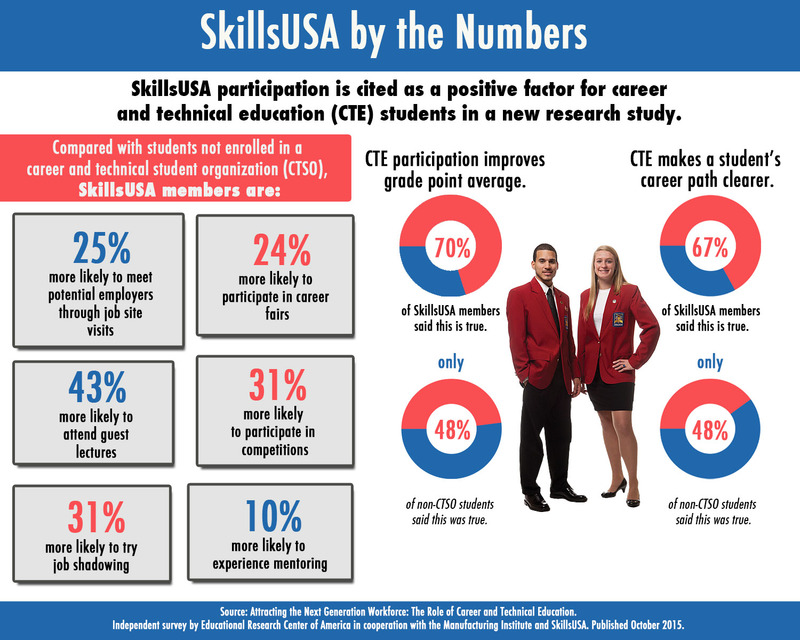 SkillsUSA is a Career and Technical Student Organizations (CTSO) that connects students, teachers and industry partners to ensure America has a skilled workforce. The organization works through a structured program of citizenship, leadership, employability, technical and professional skills trainingand organizes local, state and national competitions in many CTE categories. SkillsUSA has 13,000 school chapters in 54 state and territorial associations. More than 14,500 instructors and administrators are professional members, and more than 300,000 students and instructors are served each year. Download the three-page PDF flyer. To learn more about competitions, browse the full list of New York State standards.